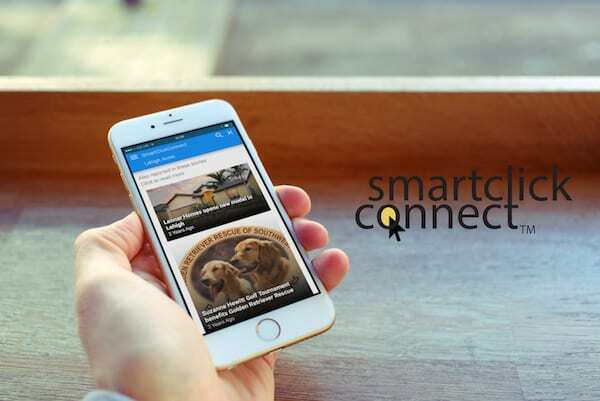 Our Hometown, Inc. has released their latest exclusive product for digital news publishers, SmartClickConnect. SmartClickConnect engages readers while keeping their attention on a publisher’s news site longer. This is accomplished by automatically tagging the important topics in articles – the who, what, and where – and displaying the relations between all of them in a simple pop-up interface. By creating deeper and more meaningful connections between recommended articles, SmartClickConnect aims to replace the average on-site search engine by tapping into a reader’s curiosity quickly and easily, driving them to additional articles within the publication. Its ease of use reduces the number of steps to find additional articles and addresses the short attention span of today’s readers. In terms of tagging, most news sites today only tag a few major topics or people, or they have to manually add links to relevant, older articles. Others drive revenue via clickbait ads that drive readers away from their sites. SmartClickConnect is currently in beta on select Our Hometown sites, soon to be added to all Our Hometown client sites. The initial release features related articles and related entities to the selected topic as well as a search engine. For more information or to visit our beta sites to see SmartClickConnect in action, go to smartclickconnect.com. For a free demo, you can contact sales@our-hometown.com or call (315) 294-5735. Click here for full press kit. Our Hometown, Inc, based in Clifton Springs, New York, has over 20 years experience getting newspapers online easily and leveraging the latest technology to benefit their customers. Through its publishing platform and proprietary products, Our Hometown is revolutionizing the digital publication for small to medium-sized papers who are looking for affordable, innovative solutions that help them drive additional revenue.